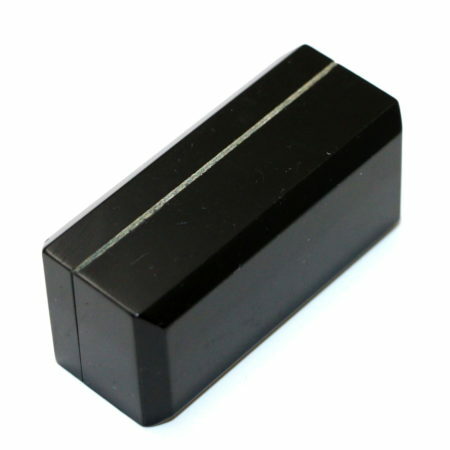 A beautiful close-up effect that goes as follows: Small black box houses three different colored dice. 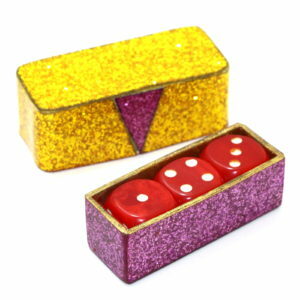 One die is simply tilted out, placed in the pocket, and the box clearly only shows two remaining dice. 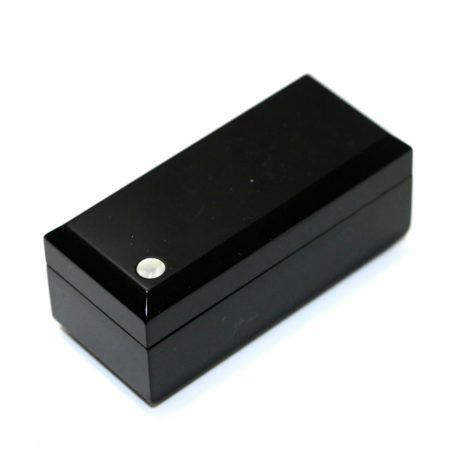 Box is closed and slightly shaken to demonstrate that there are still the dice loose inside. Magic words, box is opened and the die has returned to the box. The method is quite diabolical and automatic in execution. No palming and no fancy moves. 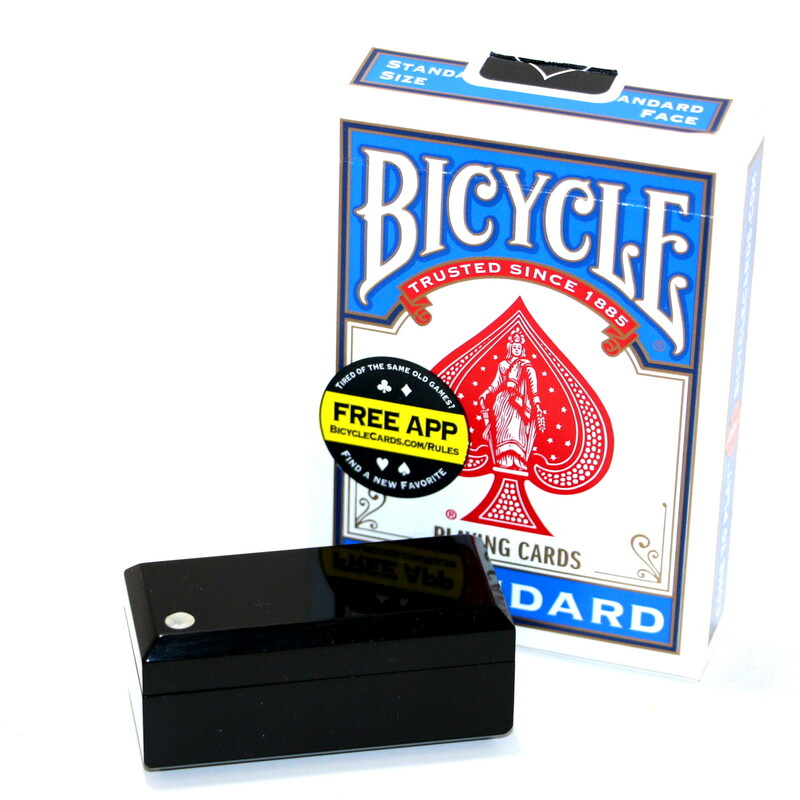 There is no doubt that Eddy Taytelbaum created the best version of this effect in both this standard size (2 1/4″ x 1″ x 1″) and jumbo size (3 1/2″ long box). What I am not 100% sure about is who invented the effect. According to Anverdi’s book (page 177) it says Anverdi first saw the German Marvello perform it. I believe this is a typo and the book is referring to the German Marvillo (Arnold Liebertz – 1927-1989) who was a semi-pro dealer and inventor. 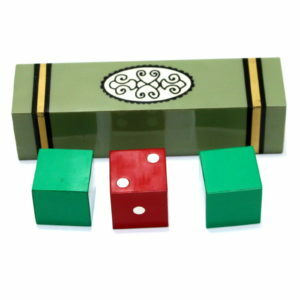 Marvillo’s version was called Dice Capers. 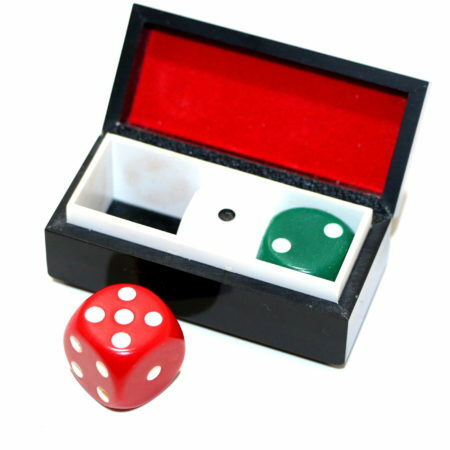 Marvillo claims it was his invention and given that he created a number of other unique dice effect this holds true but I cannot be sure since I have no dates for when Dice Capers was created. Eddy and Marvillo were almost the same age. In addition Eddy used to sell his magic abroad through Anverdi himself so it is reasonable to think if Anverdi knew that Eddy had created this effect before Marvillo he would have written that down in his book too. 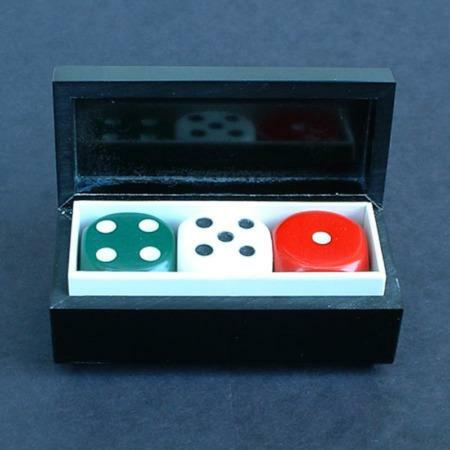 One other interesting fact is that in the original German instructions for Dice Capers it says that the idea came from MAVO in Holland. Unfortunately, I can find no information about MAVO, but given he was from Holland maybe Eddy knew him and they worked together on the idea. If you have ever tried to track down the origins of magic you’ll find lots of clues and garden paths but not too many facts, because so much is simply not written down. 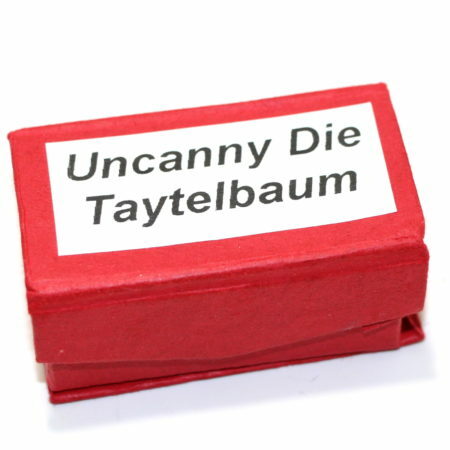 Either way, this would not be the first time that Eddy Taytelbaum had created the best version of a micro-magic effect, the most famous example would be his Mummy effect as seen here. 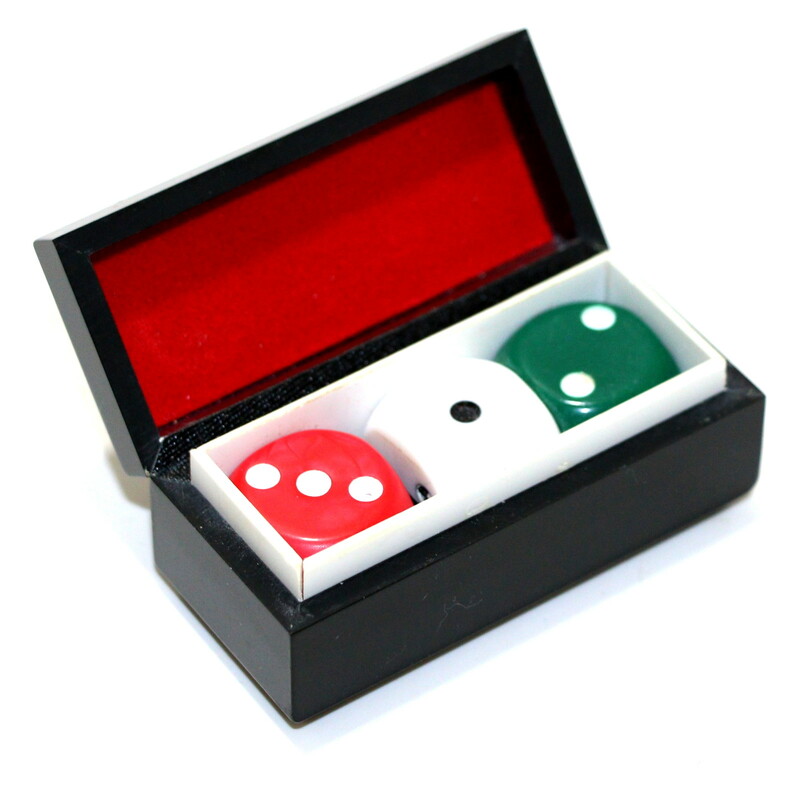 Uncanny Die is from Eddy’s later period where he toned down the artistic features of his creations – they were still perfectly constructed but much simpler in design. There is no doubt that Eddy Taytelbaum created the best version of this effect in both this standard size (2 1/4″ x 1″ x 1″) and jumbo size (3 1/2″ long box) c. 1970. What I am not 100% sure about is who invented the effect. According to Anverdi’s book (page 177) it says Anverdi first saw the German Marvello perform it. I believe this is a typo and the book is referring to the German Marvillo (Arnold Liebertz – 1927-1989) who was a semi-pro dealer and inventor. 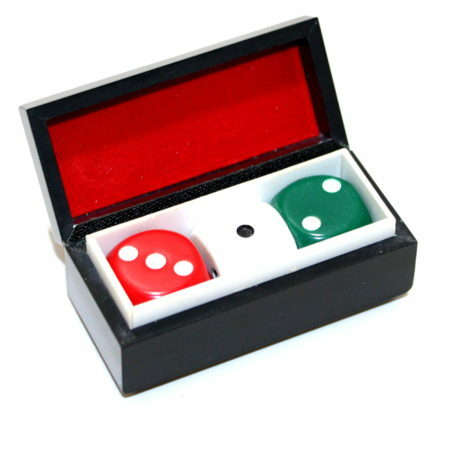 Marvillo’s version was called Dice Capers.